This is a rectangular Pfaff porcelain sign. 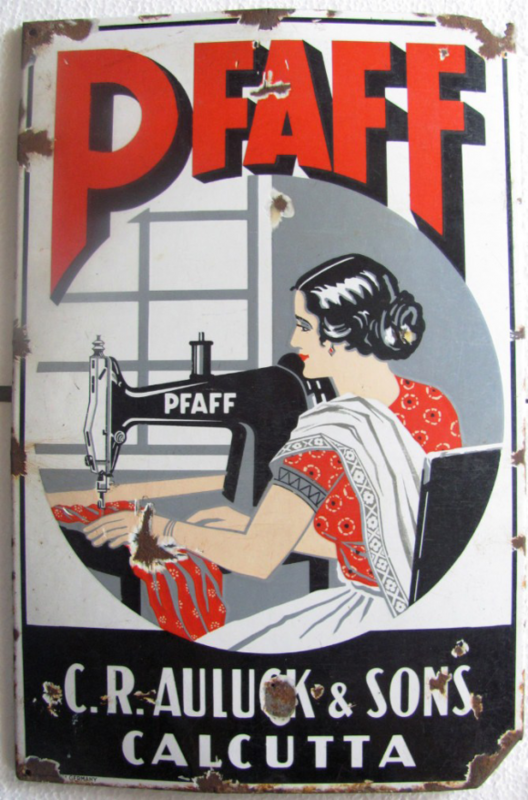 This particular Pfaff sign is very colorful. It reads, “Pfaff C.R. Auluck & Sons Calcutta” in red and white and features a woman wearing a red sari sewing a red cloth with a black Pfaff sewing machine in the center.